Tommy Connolly has a lot to figure out: what caused the bullet holes in his back and scull; where was he before they put him in that empty barracks; why they ordered him to be packed in a small plane and flown to Aruba; and who was the siren who cared for him after he awoke in that hospital. Above all, who are “they” exactly? To get some answers, Tommy will have to play high-stakes games among nefarious characters in Panama, Aruba, Bermuda and Cali, Colombia. He will have to make nice with corrupt Colombian intelligence officers, befriend crooked bankers and dried-out CIA pilots for-hire, and even turn a blind eye to hideous crimes against innocent Columbians. To live another day, he will have to lead the sort of top-secret operations that CIA regulars wouldn’t touch. Some of the things he learns will gratify him, while others will mortify him. He’ll face certain death, but his success will make him a rich gringo. 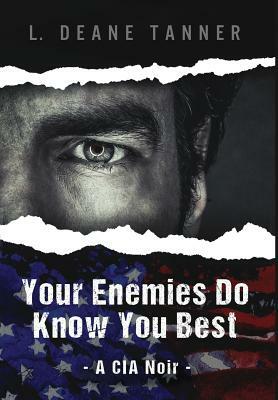 Your Enemies Know You Best is a story about the thin line between friends and enemies, and the sort of knowledge that brings you peace, and the knowledge that can drive you mad. If you manage to live that long.